Ningxia is one of the five autonomous regions in China. 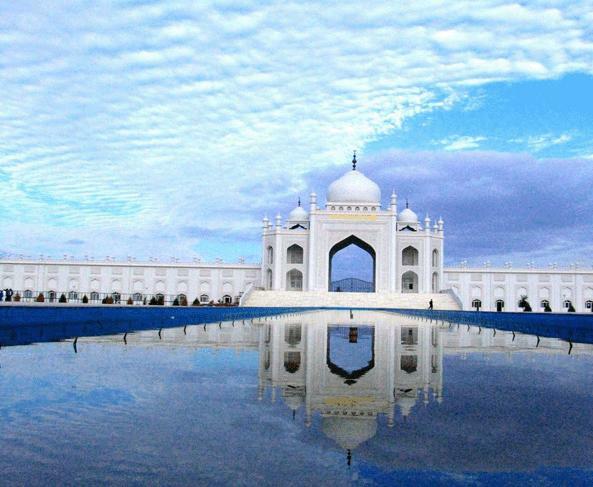 It is the only provincial-level ethnic Hui region and the best place to experience the country's Muslim culture. The capital, Yinchuan, is not only the political, economic, and cultural center of the region, but also a famous historical and cultural city. Ningxia is located on the northwest Loess highlands pierced by the Yellow River. The Great Wall runs along its northeastern boundary. Ningxia borders Gansu Province to the south, Shaanxi to the east and the Inner Mongolia Autonomous Region to the north. It is a relatively arid region, including the Tengger desert in Shapotou, but the ancient Yellow River irrigational system ensures the northern part is well watered – earning it the nickname of the ‘land of fish and rice’ in the North. Covering an area of 66,400 square kilometers (about 25,600 square miles), Ningxia is divided into 5 prefecture-level cities (Yinchuan, Shizuishan, Wuzhong, Guyuan, Zhongwei). Ningxia has one of biggest pastures in the country. It boasts rich mineral resources, such as sodium, magnesium, ammonia, lime nitrogen, tantalum and niobium. The Shan Gan Ning Natural Gas Field is one of the largest in the world. Its GDP in 2009 was 133.46 billion yuan (US$19.5 billion), with a per capita GDP of 21,475 yuan (US$3,143). Ningxia is the principal region of China where wolfberries are grown. Ningxia is home to Hui people who make up about 36 percent of the regional population of 6 million and Hui people mostly live in Tongxin, Guyuan, Xiji, Haiyuan and Jingyuan counties as well as Wuzhong City and Lingwu County irrigated with water diverted from the Yellow River. There are also many other ethnic minority groups in the region. Ningxia has a temperate continental climate of long, cold winters and short, hot summers; temperature is lowest in January, averaging from -10 to -7 degrees Celsius and highest in July, averaging from 17 to 24 degrees Celsius. Annual rainfall averages from 190-700 millimeters.